2019 is here | A.B.E. Remodeling, INC. Here we are in yet a new year…and we just wanted to take this opportunity to send our best wishes and thoughts your way. We're a few days beyond the celebrated new year's eve and new year's day but nevertheless, we're sending out this message. You know the statement "better late then never". We sure hope everyone had a pleasant holiday season and that your Christmas and New year activities were some of the best. May this coming year be more promising then the year before. May your blessings be plentiful and your challenges be few. In 2019 Spread happiness around. Be thankful for the things in your lives. Some other thoughts for the year; mend a quarrel, seek out a forgotten friend, dismiss suspicion and replace it with trust, write a letter, be kind, keep a promise, forgo a grudge, forgive an enemy, apologize, try to understand another, do not pre-judge, put someone before yourself, be gentle, laugh more, love much, smile a lot, express gratitude. Drive carefully and respectfully. Always treat others fairly for we never know what battle they are facing in their life. If you have any additional thoughts, please post. There are many more things to be thought of…. Share your post. 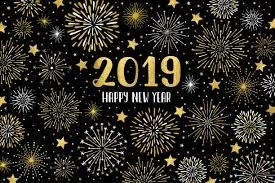 May 2019 give you joy in your heart, smiles at your doorstep, good times, good friends, good health and God's blessings. We want to thank you our friends and clients for the support of our business. Your loyalty means the world to us. We appreciate each one of you and look forward to the future. Be blessed and all our best for 2019.